Last May, the council voted 3-2 to adopt an ordinance that allows an inspector to enter and examine rental units to determine if the properties are safe and habitable. The ordinance also requires landlords to pay a fee to fund the program. Councilmen Dan Carpenter and Dan Rivoire cast the two votes against the ordinance. Thus far, the city has registered 973 rental properties in the program. There an estimated 4,600 properties that qualify. The program includes single-family homes, duplexes and granny units. Apartments are exempt, but they must be inspected by the fire department for fire-related concerns. Inspections of rental units are required to occur every three years. Tenants can deny the city inspector permission to enter a unit, but the city can then obtain an inspection warrant from the San Luis Obispo Superior Court. Landlords must pay a fee of $380 per unit every three years in order to cover the cost of the program. Those who participate in a self-certification program can pay $260 per unit. The rental inspection program officially took effect in January. Inspections are scheduled to begin in April. Many city residents have opposed the program, arguing it constitutes government intrusion in homes and a tax on rentals. As of Monday, 427 people have signed an online petition calling for a repeal of the program. A website, SaveSLO.com, is promoting the petition. Supporters of the program contend there are deteriorating neighborhoods in the city where landlords do little to maintain their properties. However, satisfying those concerns could put San Luis Obispo at risk of a lawsuit. 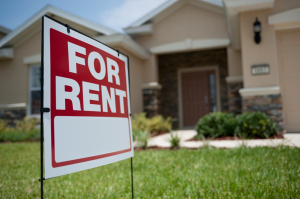 Last October, an Ohio appellate court ruled that a city regulation requiring licensing of landlords and inspections of rental units violates the Fourth Amendment. Lots of garages have been converted to bedrooms in SLO to cram more kids into the houses. I wonder what those landlords are thinking about now. How many is “lots”? What is your evidence?